There a couple of cocktails called the East India, and this one is cognac based. Now, cognac is pricey and you may feel it’s a waste to use it in a cocktail. In this case, however, the cognac is by dar what you’re going to taste the most. So if you decide to settle for a brandy, make sure it’s one that’s very drinkable. If you go for cognac, Hennessy is one that’s readily available, very tasty all by itself, and won’t completely break the bank. This drink is barely sweet at all. The touch of dark rum adds a tiny hint of sweetness, and then the dashes of triple sec and pineapple juice add a little more. 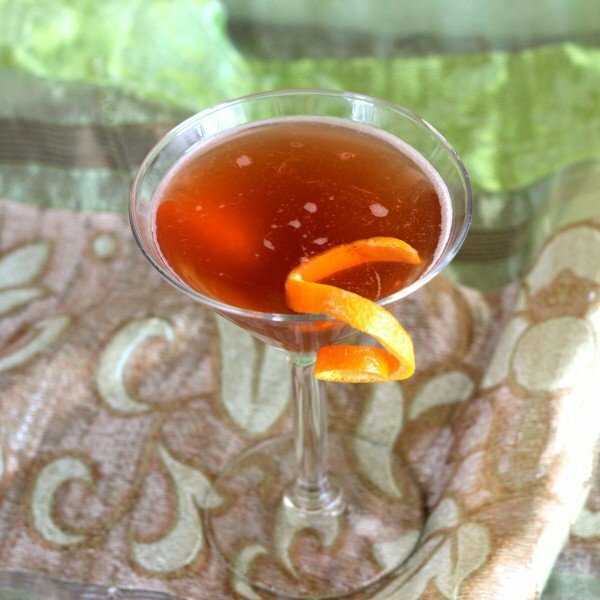 But then it calls for a dash of Angostura bitters, which counteracts the sweetness just a tiny bit. If you prefer your cocktails a little sweeter, just up the amounts of triple sec and/or pineapple juice. The East India is a good drink for evening time on a quiet night in. It’s intriguing and a tiny bit mysterious, which makes it a nice accompaniment for contemplation. But it also goes well with all sorts of meals – really, any meal that works with the sweetness of a cola will easily work with this. Some say that beef is the classic meat to pair with cognac, but this drink will work with fish, chicken, lamb or anything else. Something else to try with it is a chocolate-based mole sauce (most black moles and some red have chocolate as a component). Fill a cocktail shaker with ice. Pour in all the ingredients and shake until chilled. 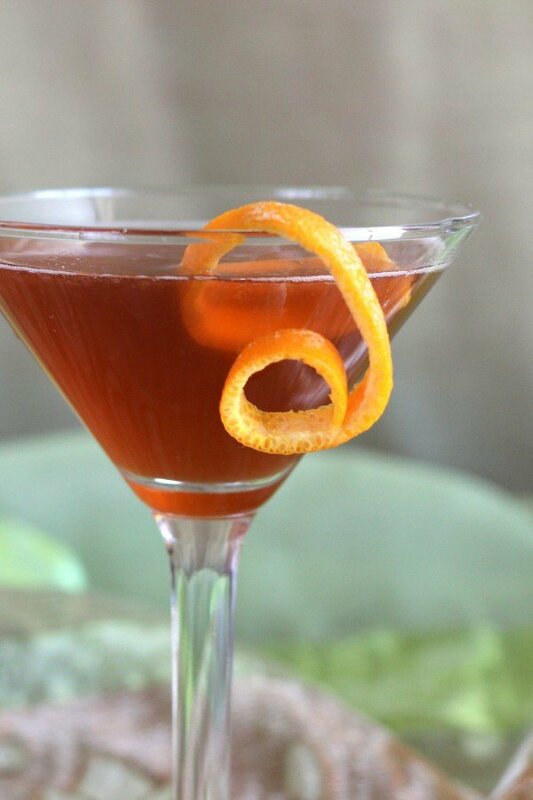 Strain into a martini glass and garnish with an orange twist.